The Padres are set to promote top prospect Francisco Mejia from Triple-A El Paso, per Dennis Lin of The Athletic (Twitter link). MLB.com’s AJ Cassavell adds that while Mejia could eventually be shifted back and forth between catching and the outfield, he’s been catching in El Paso this season and will be used as a catcher in the month of September with the Padres. 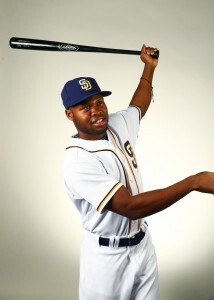 Mejia, 22, was the lone prospect traded from Cleveland to San Diego in the July deal that sent both Brad Hand and Adam Cimber to the Indians. He’s long rated as one of the game’s top overall prospects and entered the 2018 campaign as a consensus top 20 all-around minor leaguer. While he had a solid but unspectacular run with the Indians’ Triple-A affiliate this season, he’s exploded for a .328/.364/.582 slash with seven homes, eight doubles and a triple in just 132 PAs with the Padres’ top affiliate since the trade. 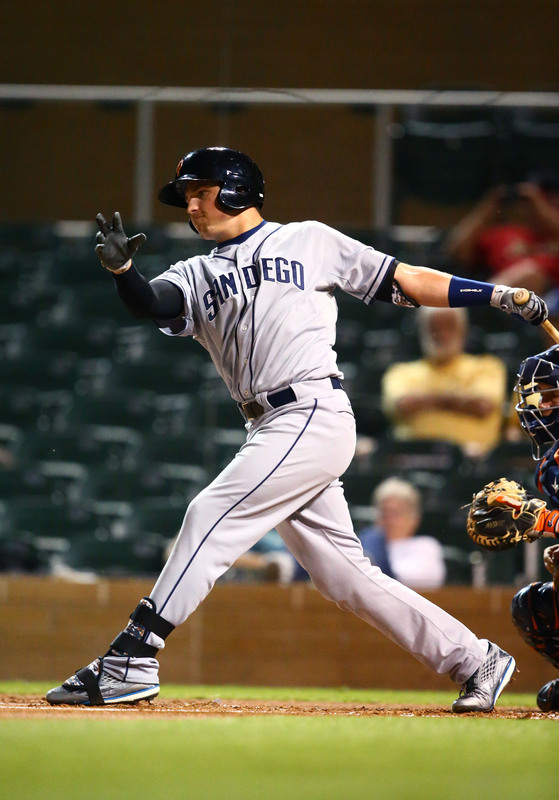 The arrival of Mejia in San Diego will give the Padres a pair of catchers who were highly touted as prospects, though certainly Austin Hedges’ bat remains a work in progress. Hedges has improve upon last year’s overall production but is still hitting just .239/.292/.422 through 271 trips to the plate in 2018. Hedges is regarded as a premier defender behind the dish, though, even if his 22 percent caught-stealing rate is uncharacteristically low in 2018. The 26-year-old ranks as one of the game’s better pitch framers and sits 10th among MLB catchers in Baseball Prospectus’ Fielding Runs Above Average this season, even in spite of his unusual throwing troubles. The San Diego front office likely views the presence of both Hedges and Mejia as a good problem to have. Neither will be expensive in 2019. Mejia, of course, will be a pre-arbitration player while Hedges will receive a small but notable bump in pay as a Super Two player in arbitration. It’s possible that the pair could shoulder the bulk of the Padres’ work behind the plate for years to come, with Hedges serving as a glove-first option with power but middling OBP skills, while Mejia provides a bat-first option with a terrific arm but a lesser all-around defensive reputation. Mejia does already have a slight bit of MLB experience under his belt, having logged 12 games with the Indians from 2017-18 (just one this year). He’s totaled just over a month of big league service time and will finish out the season with roughly 60 days of big league service. That’ll keep him from reaching Super Two status in arbitration if he’s in the big leagues to stay. Currently, he projects to reach arbitration eligibility following the 2021 season, and he’d reach the open market as a free agent following the 2024 season. Further time spent in the minors could yet push that trajectory back, but it appears that he’ll be given the opportunity to prove that he’s learned all he has to learn at the minor league level. Rockies GM Jeff Bridich has told center fielder Charlie Blackmon to take any trade rumors involving his name with a “huge grain of salt,” he told reporters, including MLB.com’s Thomas Harding, yesterday. “As the situation was with [Carlos Gonzalez] over the past few years, there are teams that are doing their jobs and doing their due diligence and calling on our guys,” Bridich explained. “But we have never come out and said, ’We want or need to trade Charlie Blackmon.’ I felt like he needed to hear it from me.” The addition of Ian Desmond to the Rockies’ roster only increased speculation that Bridich would look to move one of his left-handed-hitting outfielders, but the Rockies maintain that Desmond will be utilized at first base and no outfield move is on the horizon. At his introductory press conference with the Rockies, Desmond spoke with confidence about his ability to learn first base despite never having played there in the past, as Harding writes in a separate piece. Desmond, of course, made a pretty smooth transition from shortstop to the outfield last year, and the athleticism that allowed him to do so was a big factor in the Rockies signing him, Bridich explained. “A couple of years ago, we started talking about versatility and athleticism becoming a priority for this organization, along with getting veterans of character,” the GM said. “[Desmond] represents all of that, and that is the exciting thing.” Bridich added that there’s been “way too much” talking and planning that has gone into the decision to deploy Desmond at first base for the Rockies change course. Bridich added that his focus will now shift to improving the team’s bullpen, Harding notes. Austin Hedges is “obviously … the clear frontrunner” to serve as the Padres’ primary catcher in 2017, manager Andy Green tells Dennis Lin of the San Diego Union-Tribune. The 24-year-old Hedges was rushed to the Majors out of necessity two years ago and struggled in his brief time with San Diego, but he laid waste to Triple-A pitching last season and has always had a reputation for tremendous glovework among scouts. “I think what he needs to do is take command of the team from a leadership perspective, and I know that’s very difficult when you’re short on time served in the major leagues,” said Green. “But when you’re in the catching position, the shortstop position, those are positions of authority on the baseball field where you’ve got to come in and help pitchers … and not worry about how much time you have on a major league field right now.” As Lin notes, Christian Bethancourt is the presumptive backup to Hedges, but the Friars still have plenty uncertainty permeating their pitching staff, with as many as three open rotation spots yet to be filled. Bill Shaikin of the L.A. Times examines the upcoming luxury tax penalties that the Dodgers will incur following the re-signing of Rich Hill, Kenley Jansen and Justin Turner for a combined $192MM. As Shaikin points out, the new luxury tax penalties laid out in the collective bargaining agreement don’t kick in until next offseason, at which point the Dodgers will see Carl Crawford, Alex Guerrero and Andre Ethier come off the books. Those savings, plus the fact that the first wave of luxury tax increases will be gradually phased into effect, allowed Los Angeles to spend heavily without much fear of significant luxury tax penalization in the next calendar year. However, the Dodgers still are aiming to significantly decrease their payroll by the time the 2018 season concludes in order to avoid harsher draft-pick penalties that are tied to the luxury tax threshold. Shaikin’s piece is well worth a look for those wondering about some of the specifics surrounding the Dodgers’ spending habits. ESPN’s Keith Law opines (ESPN Insider subscription required and highly recommended) that the Dodgers look to have gotten a tremendous bargain on their four-year, $64MM deal for Justin Turner, though he’s less bullish on the notion of giving a five-year deal to any reliever — even one as dominant as Kenley Jansen. Law notes that he had Turner pegged for a $20MM annual value over the life of his free-agent contract this winter given the elite level of play he’s turned in since signing with L.A., and the $64MM figure offers plenty of opportunity for surplus value. As for Jansen, Law writes that he’s the only reliever for whom he’d have considered a four-year deal this winter, but the attrition rate of relievers simply makes it unlikely that Los Angeles will receive more than three top-notch years from the deal. Then again, if Jansen performs at an elite level — or anything close to it — for another three seasons, he could opt out of the deal and potentially land elsewhere for his decline phase.